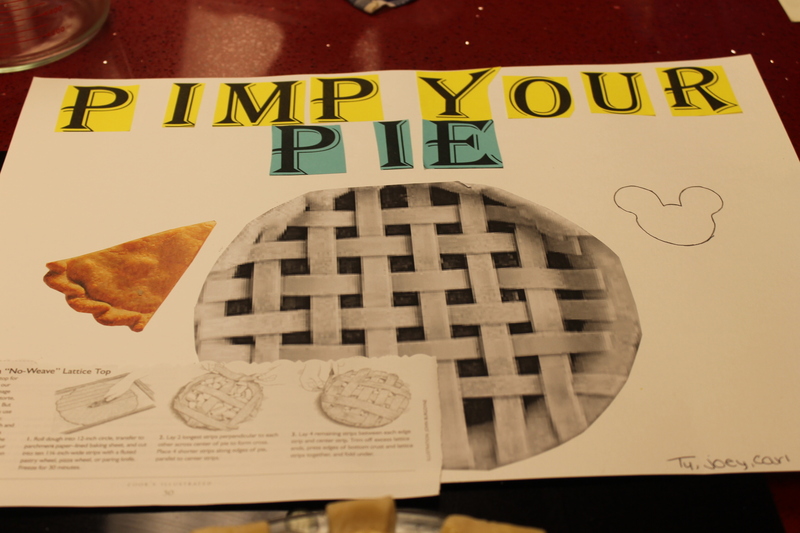 We started our pie lab the day before by making the filling and the half day was devoted to “pimp your pie” plans. Students had to decide how they wanted their finished product to look. 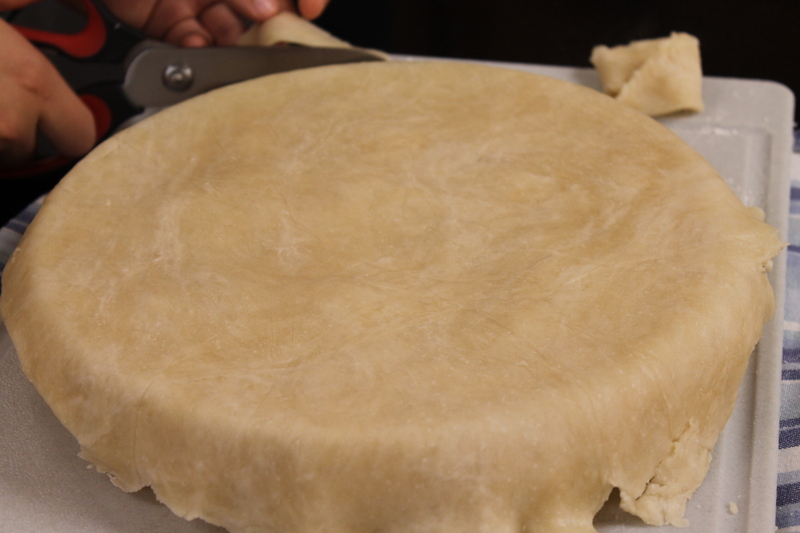 We used a simple recipe from Jenny Can Cook site that used no butter, not even in the crust. 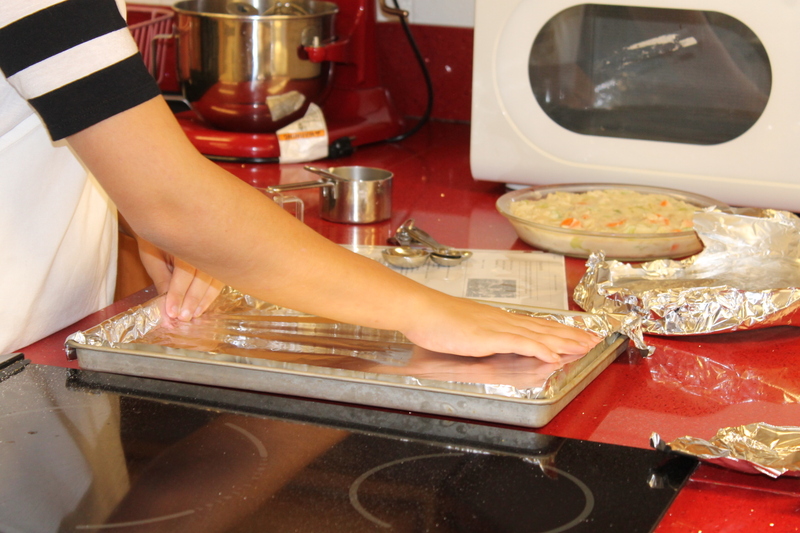 The students got a real kick from her youtube which is on her recipe page. 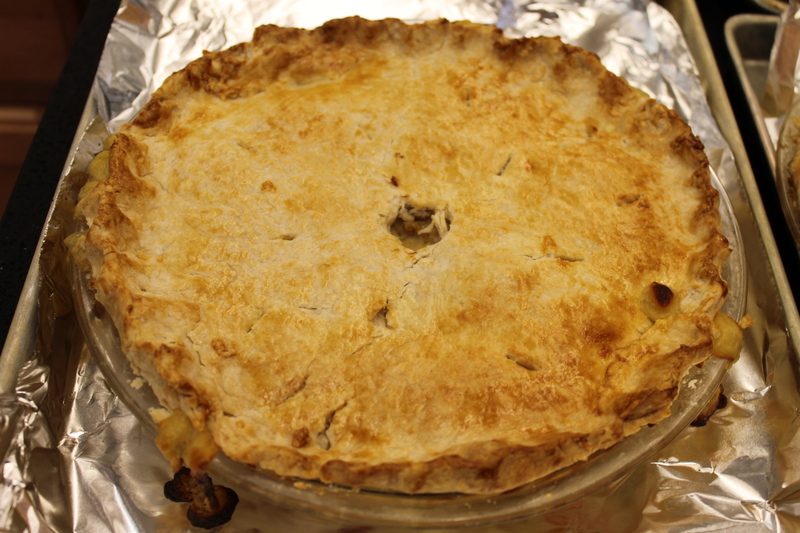 We watched about three times before making this pie so they were almost experts by the time the real experience came around. 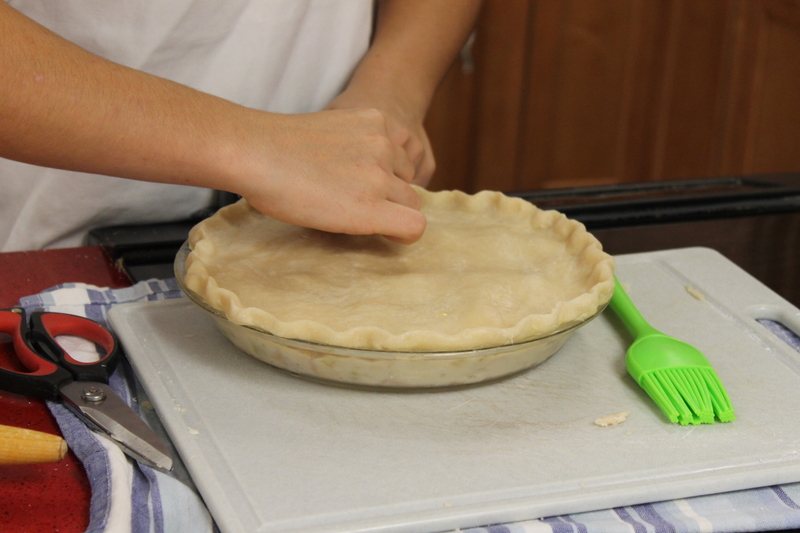 See how well Jayden has the hang of the pie crust cutting with shears? His group pie exhibits the real plan! 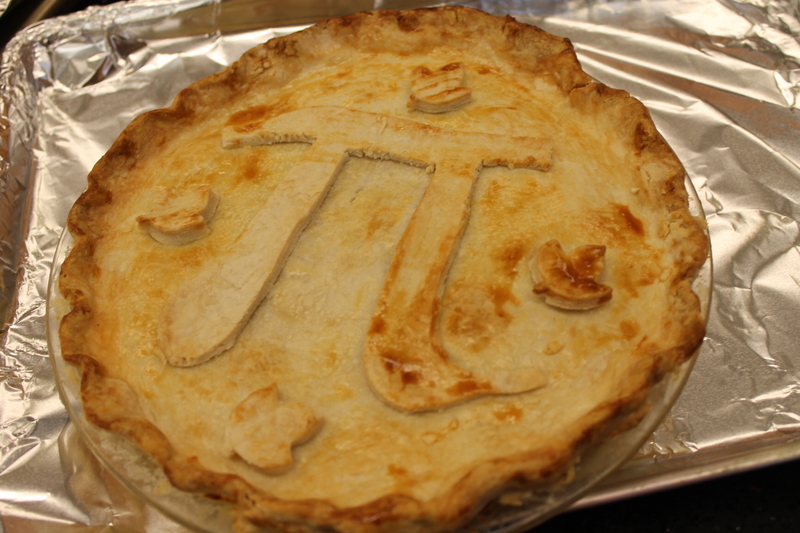 I’d say this is one pimped pie. Having a plan in place helps. 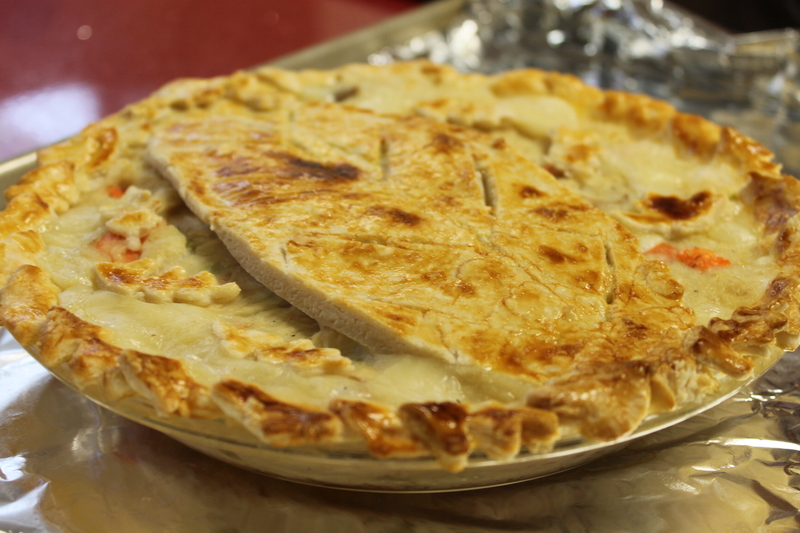 Did you know football players make great pies too? 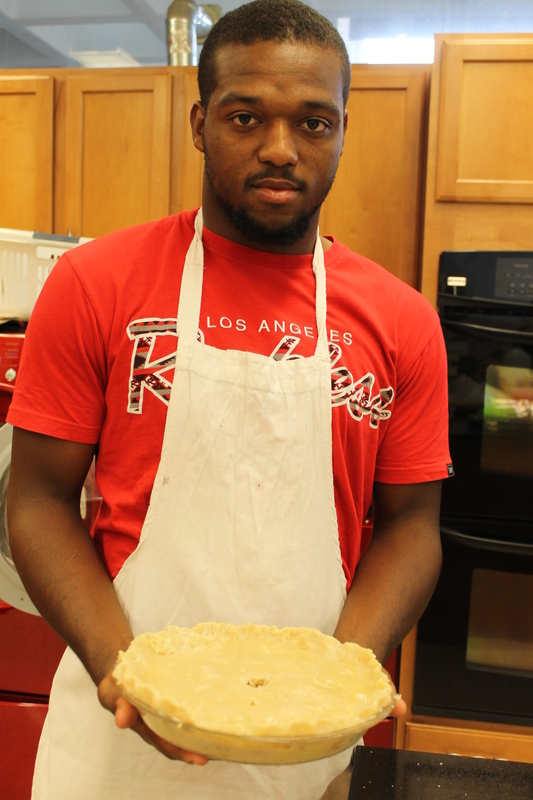 Reggie is awesome on the field and in the kitchen. Quite a catch, ladies. It was nice to see all different kinds of crusts and levels of planning. 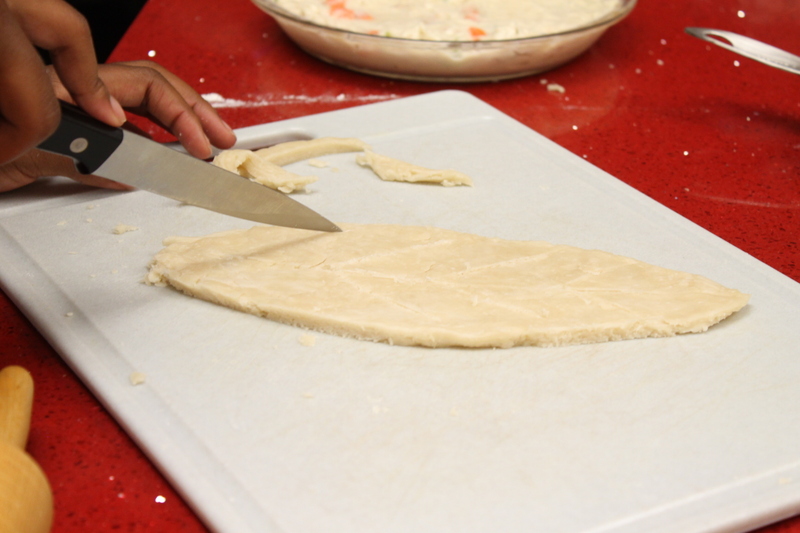 This was one flaky crust created by Reggie’s group. It’s a fantastic first pie! 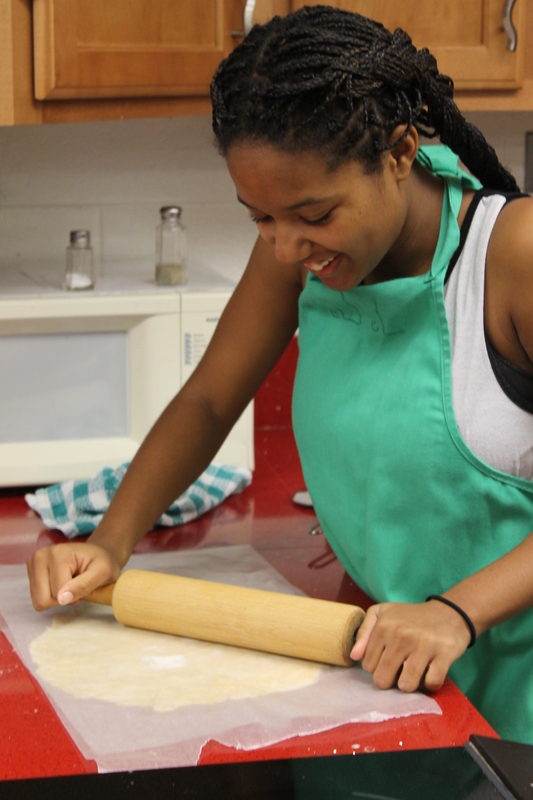 Ty’s face is priceless as she rolls her first pie crust. I love the smile of achievement. 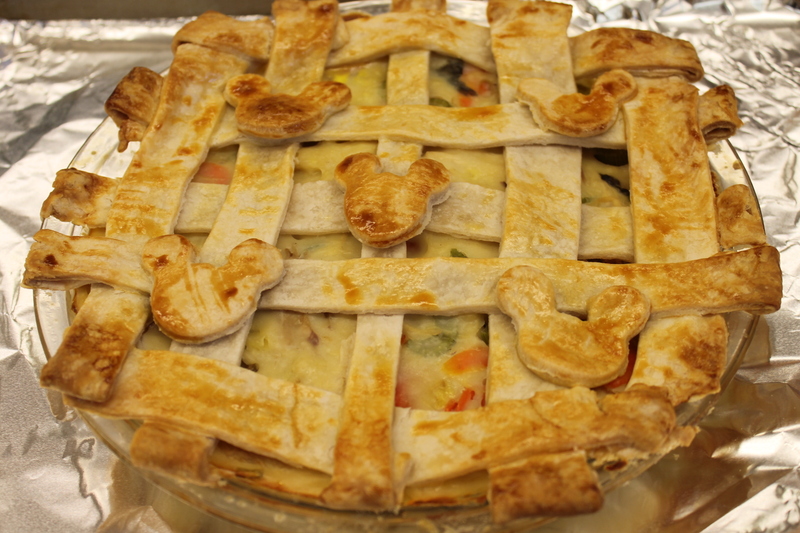 Lattice with a mickey twist, my friends. What a cute idea. Ty’s group was perfectly creative. Pans were prepped and pie crusts were ready. Lia, te baker at work. 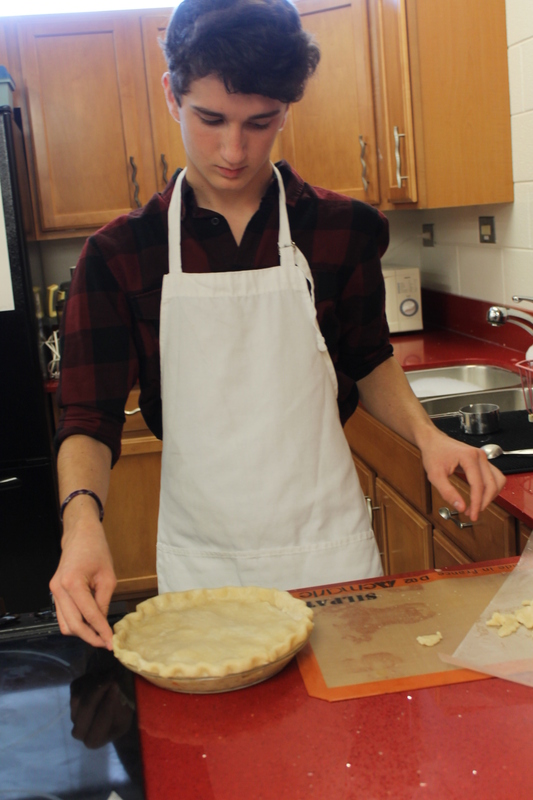 Simple, homemade delicious pies are the finished product. 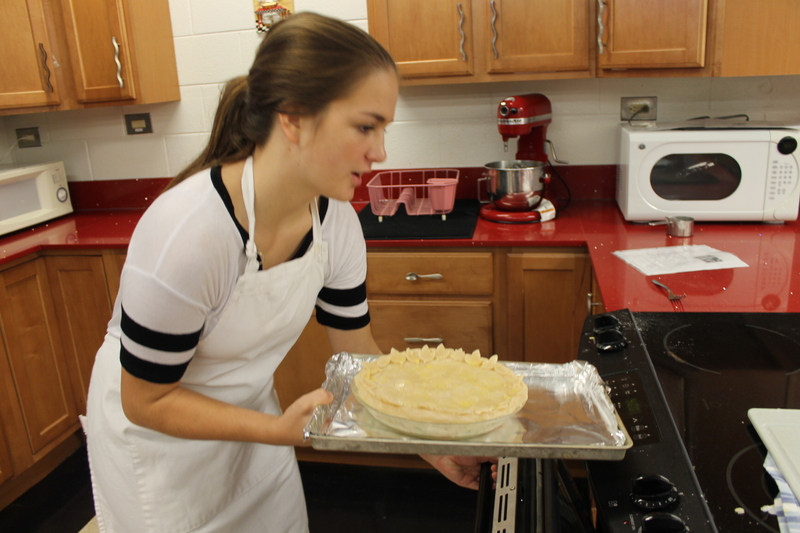 Another award winning pie made in first period by Lia and Marvin. Flaky and golden brown with the yolk and water brushed on top. Here’s a fall theme in action by our cheerleader. We have diverse cooking groups. The finished product was amazing with the etchings in the leaves. Beautiful first pie. It pays off to teach your students in manageable steps. 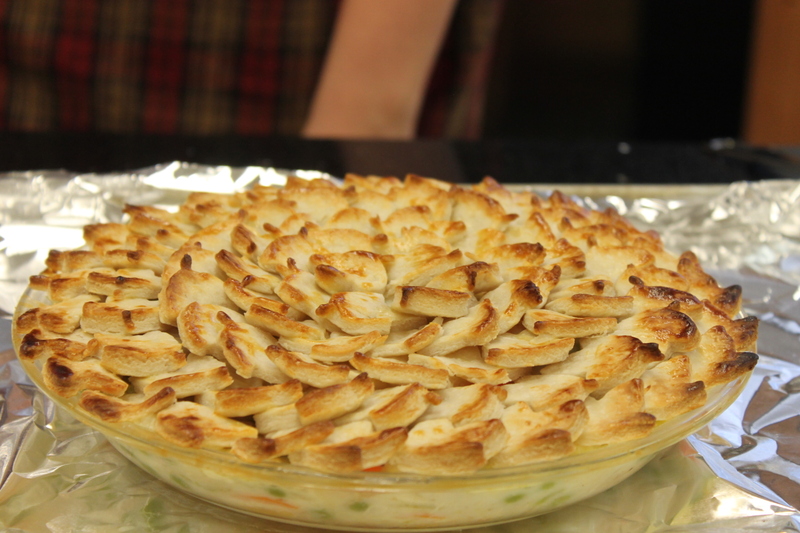 Look at the fluting on this pie. Way to go Angus. 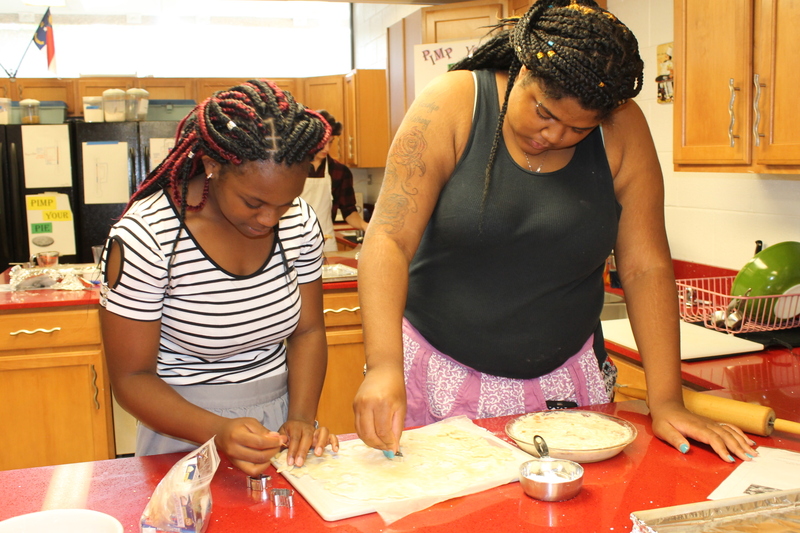 My students are always practicing their literacy and math skills by reading the recipe several times. I like to keep them in a protective sleeve as they work. Here’s Imani and Dejah working together on their leaf patterns. 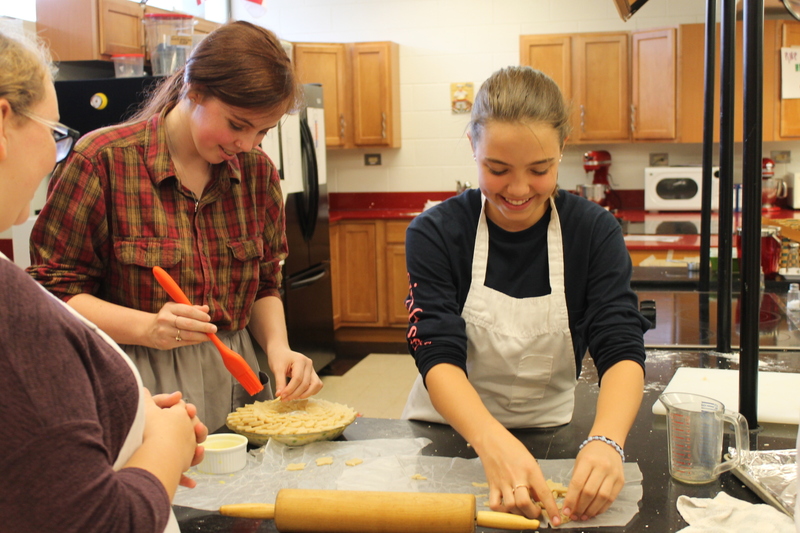 A winning pie product is taking place with these over achievers. 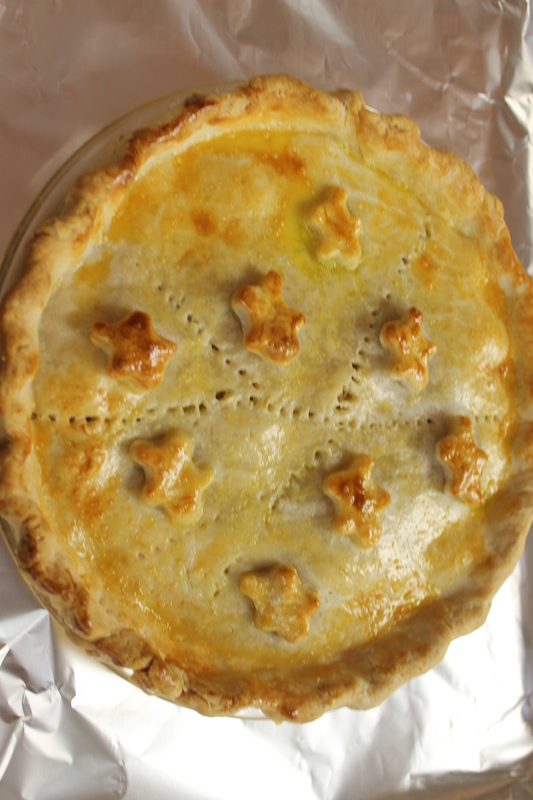 See what I mean by best looking pie award? Way to pimp your pie! Delicious flaky crust can never go wrong. 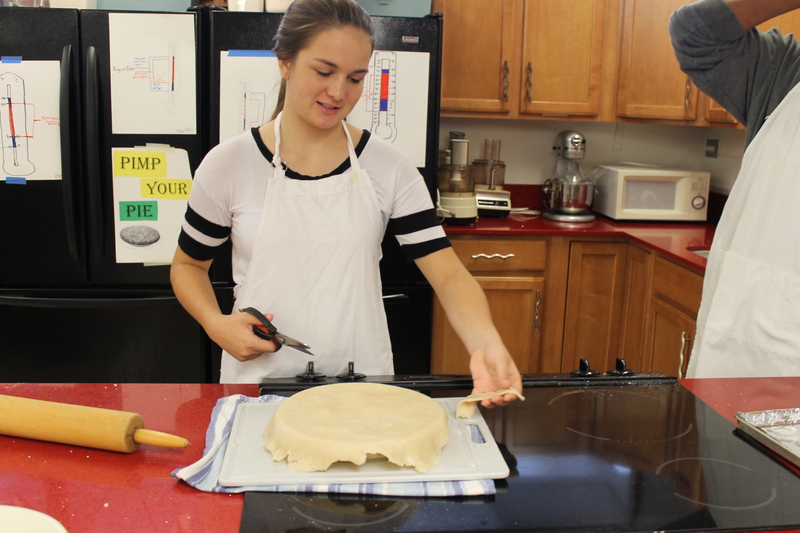 Students made the crust in one day without butter, using oil, water, flour, milk and salt. 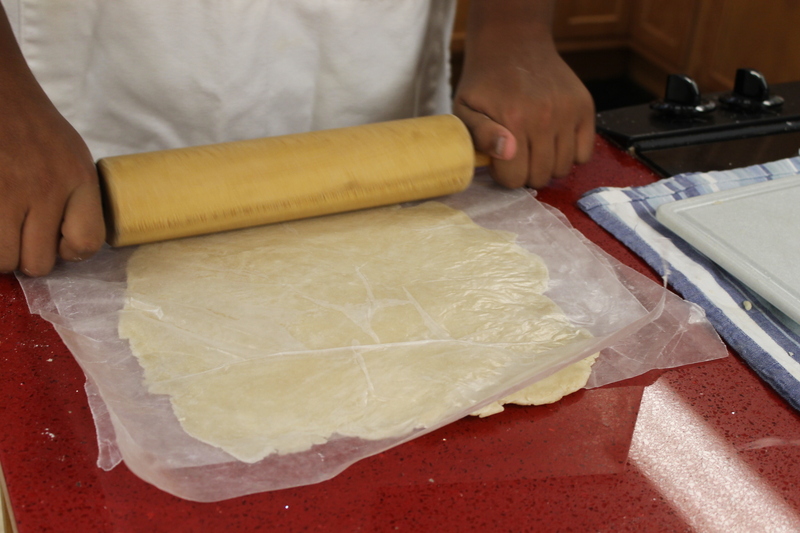 It’s flaky and easily rolled between two sheets of wax paper. 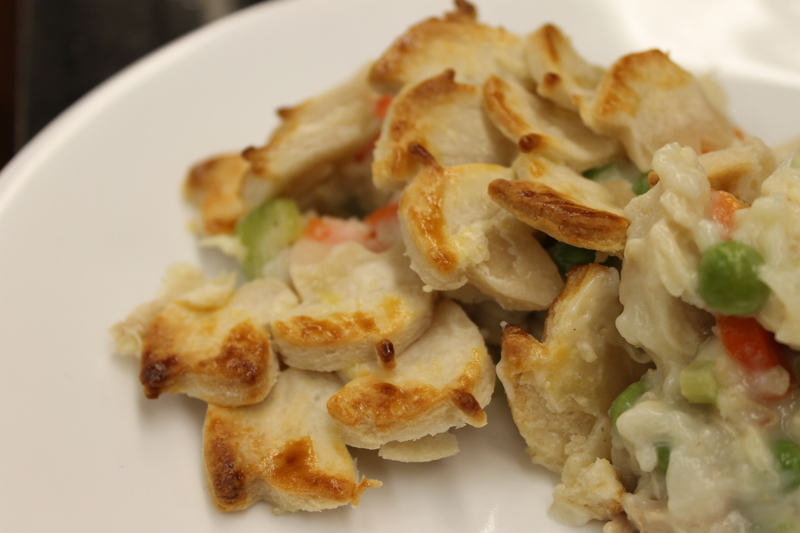 I simply love this recipe. 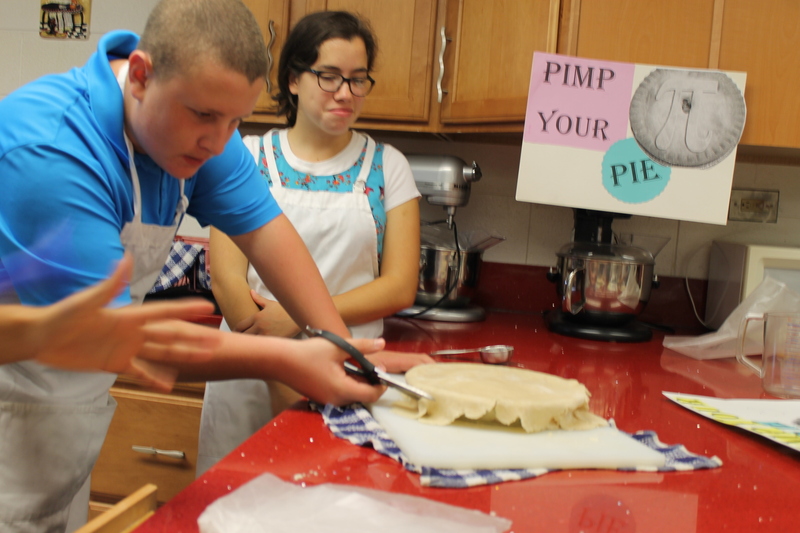 Students learned so much from this 2 day pimp your pie experience. I made it frugal by cooking two whole chickens the day during my planning and using the shredded chicken and broth in the recipe. I shared the cost savings strategy with the students. Are you inspired by students? How will you pimp your next pie?